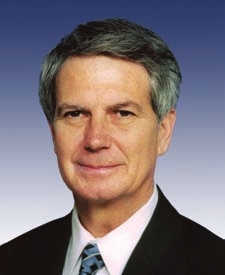 I used to be impressed with the 3rd congressional district’s Walter Jones (RINO). While serving in the state legislature as a Democrat, he frequently broke with the leftist majority in his caucus on key votes. He lost to Democrat Eva Clayton in a primary to replace his late father in North Carolinas’ 1st congressional district. Jones switched to the GOP and took out incumbent Democrat Martin Lancaster in the 3rd congressional district. He started off his congressional career with a strong conservative record. Just after 9/11, Jones made national news with his move to change the name for “french fries” in the House cafeteria to “freedom fries” as a protest against the French for failing to back the U.S. war on terror. Then, something changed. Jones got some flattering publicity in The New York Times and The Washington Post. Mother Jones — the legendary leftist magazine — also ran a flattering cover piece on Jones. Soon, we had Jones adopting the same tactics and rhetoric we’ve seen from filthy dope-smoking tie-dyed hippies since The Vietnam War. Jones — who represents the active duty and retired Marines in and around Camp Lejeune — began acting aggressively to undermine our military operations in The Middle East. He began posting photos of service members killed in action outside his office. Jones has attacked military spending bills. Instead of acting to get the generals in the field what they need to win — instead of fighting to remove crazy rules of engagement hindering our troops in the field — Jones has adopted the kooky leftist rhetoric of Rep. Dennis (I see UFOs) Kucinich (D-OH) and other far-left members of the House. As the son of a career military officer, who has many friends who are retired from or actively serving in the military, I am particularly disgusted by someone hiding behind the same (R) as Ronald Reagan to undermine our troops while they are in the battlefield. Jones’s tactics are also a huge slap in the face to all of the active duty and retired veterans in his district. It is perfectly acceptable for Congress to debate the pros and cons of going into battle. Once the troops are in the field, the politicians need to get out of the way, and work to ensure our folks in the field get what they need to win. They did it in World War II. That turned out well. Now, Jones is campaigning for fellow back-stabbing kook Republican Ron Paul in his quixotic run for president. Paul is also campaigning in North Carolina for Jones’s reelection. Retired New Bern police chief Frank Palombo has stepped up to challenge Jones in the 2012 GOP primary in the 3rd district — and hopefully rid our state of this two-legged embarrassment. If you know anyone in the 3rd district, talk this guy up to them. If BarryO has not taken all of your money, send Palombo some. ← North Dakota: America’s Saudi Arabia?